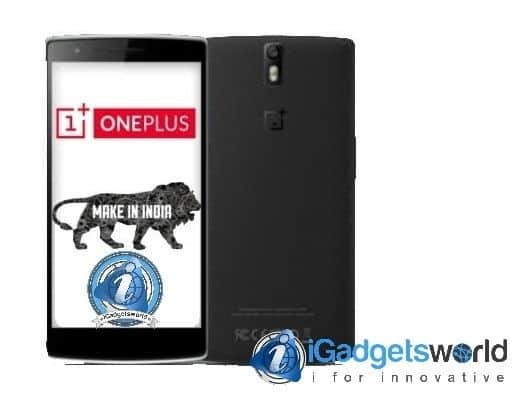 OnePlus has been pretty successful in India after they launched their first phone, the OnePlus One. And after that they launched OnePlus 2 this year with the same kind of invite system, and yes till now they have been quite successful in a developing country in India. Today, they have announced that OnePlus will join the #MakeInIndia campaign and will manufacture OnePlus X in India. They have partnered with Foxconn for this manufacturing process and they have thanked Foxconn and the Government of Andhra Pradesh for helping them in this journey in India. OnePlus India chief Vikas Agarwal said, “We are excited to add another significant chapter in our India journey as we look forward to starting local production of our smartphones within a year of our launch in the country. Local production of OnePlus’ upcoming devices will start before end of this year at the 30,000 sq. ft. facility at Foxconn’s Rising Stars factory within the Sri City Integrated Business City in Andhra Pradesh. The facility will have a cumulative peak capacity of producing up to 500,000 units per month, thus scalable to locally fulfil the demand for OnePlus’ smartphones in India in the future. The facility will also generate direct employment of over 1000 full-time workers, thereby giving further support to the Government’s Make in India. Also check out: OnePlus 2 full review, is it really the most hyped smartphone of 2015? Just a few days ago, Asus also joined Make In India and Xiaomi was probably the first smartphone manufacturer who joined the Make In India and launched the Redmi 2 Prime which was made in India. Another news is on air related to OnePlus- OnePlus co-founder Carl Pei is expecting to do an intern at Samsung to learn how to manage the production and shipment of smartphones. Recently, he revealed it one his Facebook via a blog post. He mentioned it strongly that making a smartphone isn’t that easy and Samsung has been doing that for years and they have been delivering quality smartphones to the customers in s very shotrt span of time, he also mentioned that he expect Samsung to provide him a chance and in lieu of that he would also invite a Samsung executive to have a look at how they work at OnePlus, seems like OnePlus is now looking forward to deliver products as fast as they can and may be after they start manufacturing phones in India, we would be able to grab the OnePlus X a bit earlier than OnePlus 2.